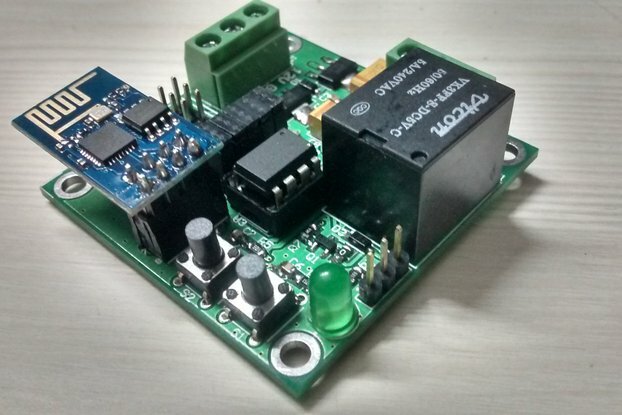 ESP8266 - 3 Channel Triac Wifi Switch for AC circuit control, preloaded with ESPEasy firmware. ESP8266 based Wifi device that has 3 independent solid state channels, that allows for the switching of up to 5A @ 220V/120V. 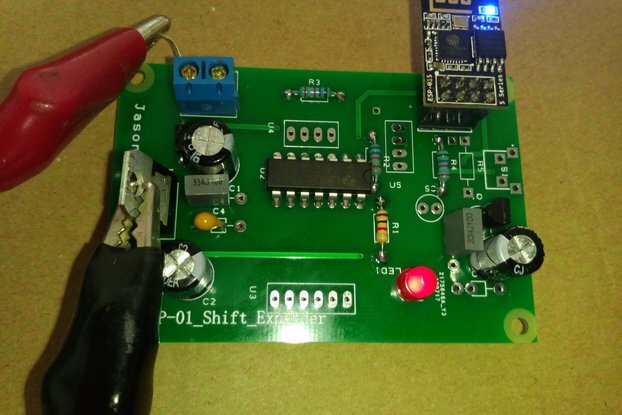 Provision is made for an RC snubber circuit if you need to switch inductive loads (like induction motors). Three pluggable 5.08mm connectors enable easy assembly or replacement. The circuit board is designed to fit in a Hammond 1593L enclosure (optional extra). Power is supplied via a uUSB connector or a pluggable connector an on board voltage regulation for 12V operation. 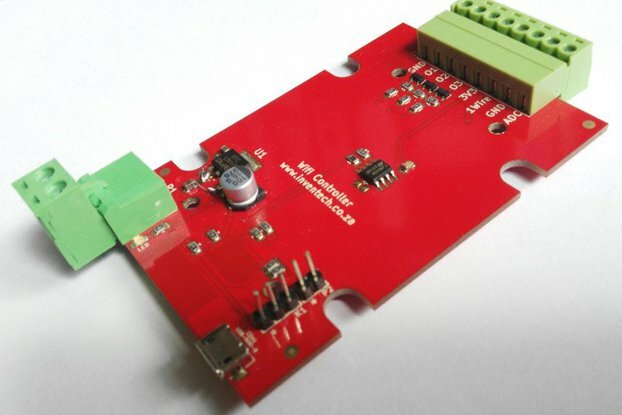 The design is based around a ESP8266-12 module. It enables you to switch 3 independent circuits via your browser or smartphone from anywhere in the world. Each unit is pre-programmed with the latest release of ESPEasy which is available (here) or our website. 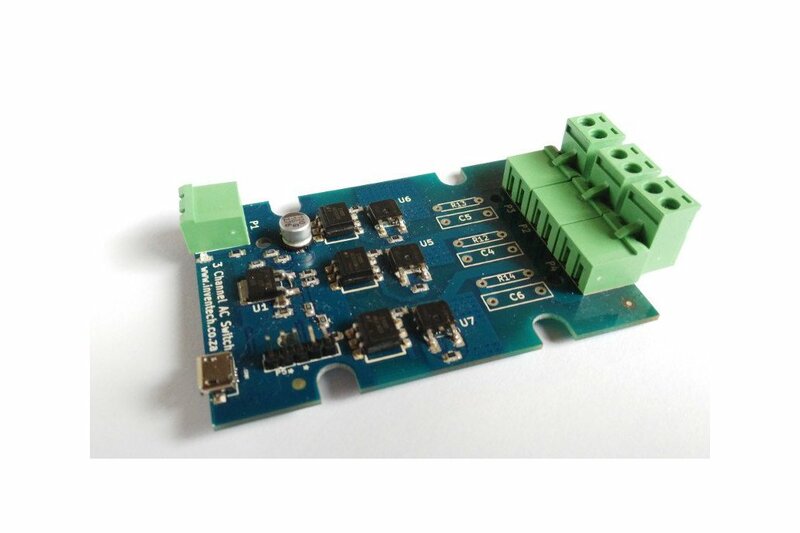 Programmer headers are included for easy development via a suitable USB to serial converter (optional extra) ESPEasy even allows over the air (OTA) firmware updates. 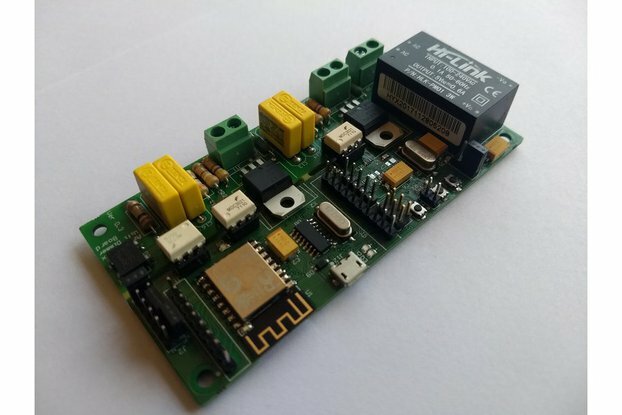 Relays wear over time, they make an annoying click each time they switch and are power hogs, we wanted to control more than a single channel and wanted a board that could be installed in existing switch boxes or be housed in an attractive ABS enclosure. We can also integrate it with 3rd party IoT dashboard websites like InitialState, Freeboard.io etc. Please feel free to contact me if you have any custom firmware requirements. We can supply the Hammond case, but not with slots cut into the end caps. We are currently building of own CNC machine to offer this in the future.